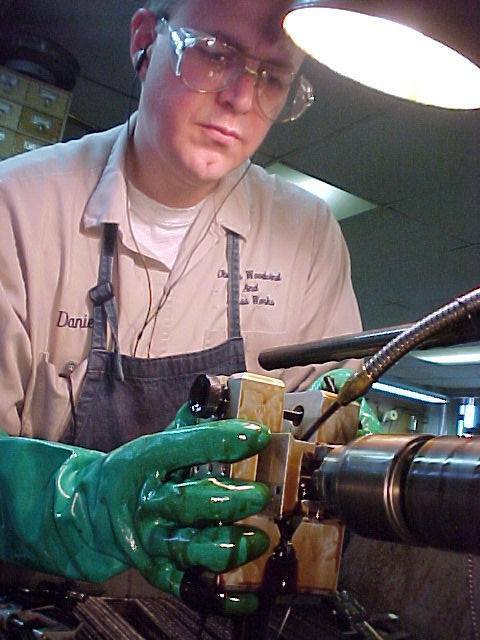 With over thirty-five years of experience in the band instrument repair industry, Daniel Oberloh's expertise is supplemented with a background that includes machining and electroplating (both decorative and structural copper and nickel). His depth of knowledge and experience offers unparalleled opportunities for valve repairs that few instrument repair shops can offer. 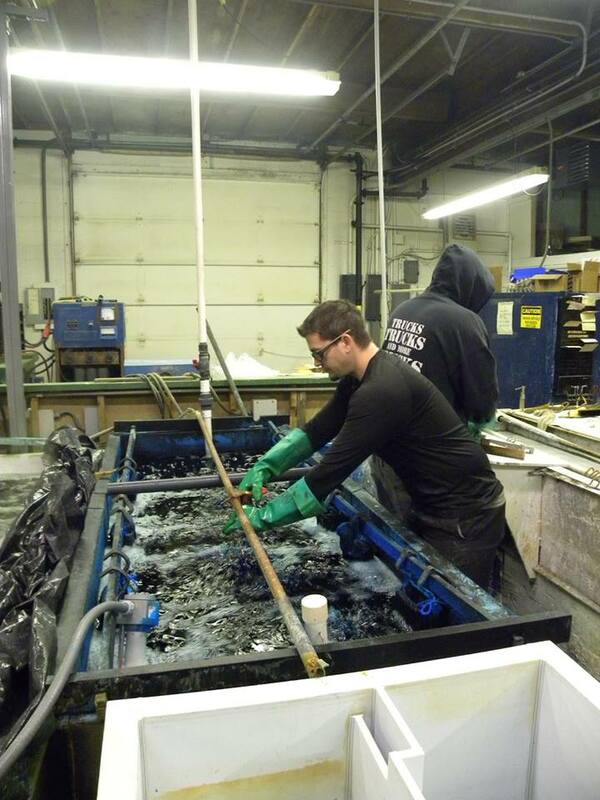 All of our valve repair services are performed here in our Seattle facilities. Capabilities also include machining custom tooling, arbors and electroplating fixtures as needed. Our valve repair services range from the simplest and most basic to remanufacturing complete piston assemblies, caps, stems and buttons. Our structural plating services are performed by Mike Wheeler at Electrofinishing in Kent Washington, under the personal supervision and oversight of Daniel Oberloh. The critical matter of piston and valve cylinder honing and sizing is performed personally by Daniel Oberloh, with the highest standards of precision workmanship on only the very best equipment. 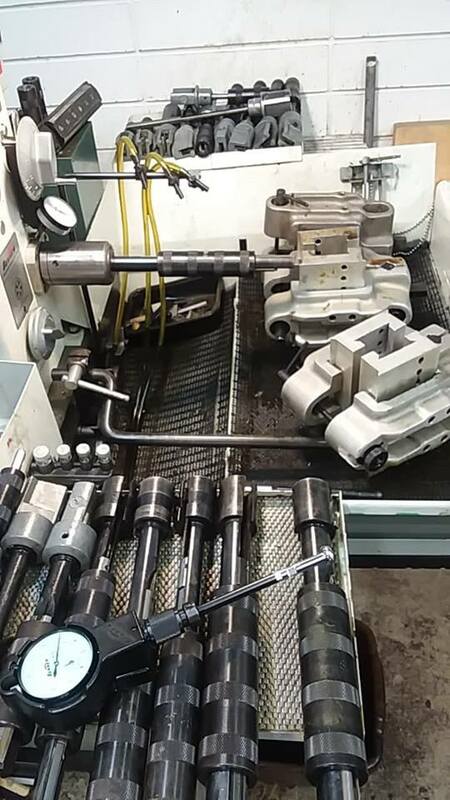 All of our piston-valve and cylinder honing is performed with machines, tooling and supplies, provided by Sunnen Products Corp. In addition to our private customers, we gladly provide support services to our repair industry colleagues and commercial music companies throughout North America, Europe, the South Pacific, New Zealand and Australia. If your shop is interested in our services, please feel free to contact us for detais. 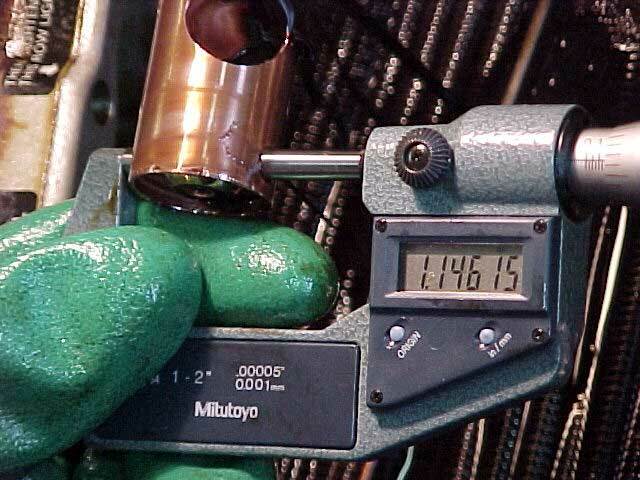 With the use of a bore-gage, we are able to confirm that a honed valve cylinder is straight and round. Over time, it is not uncommon for piston valves to become worn to a point that the instrument no longer functions optimally. The rebuilding of piston valves is a precision process where the worn valve cylinders are restored straight and round. The pistons are repaired as needed and oversized through the electroplating application of copper and nickel. The plated materials are precision honed to the exact desired dimensions prescribed for their respective cylinders, ultimately returning it to a state of playability that can often exceed that of a new instrument. The tolerance of a properly rebuilt trumpet valve is approximately .0005" (one half of one thousandth of an inch). Larger piston tolerances are slightly more due to the added surface area. 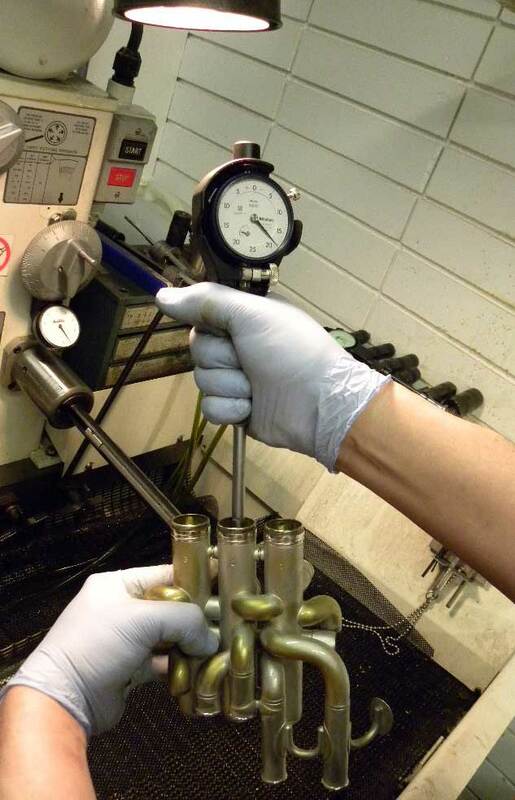 Once the valve and cylinders are fit correctly, they are hand lapped to the proper feel and function. Finally, the instrument is thoroughly cleaned and the ports are aligned with new materials. The springs are adjusted or replaced if found to be substandard. External honing pistons, straight and round. 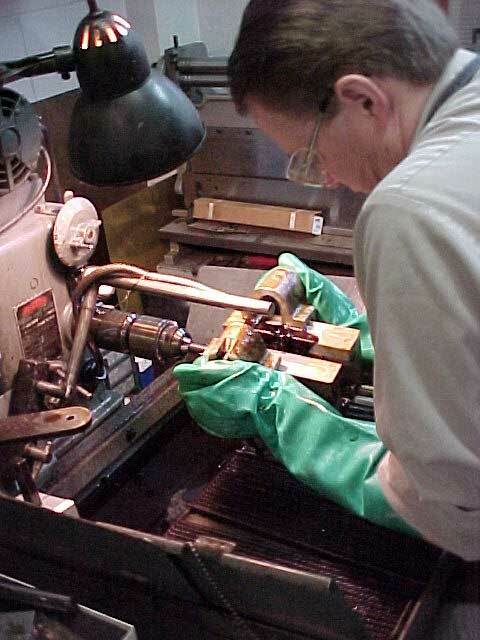 The honing process is performed with the use of precision machine tooling. 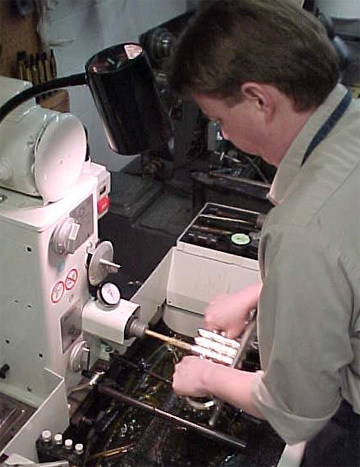 We use Sunnen equipment exclusively for all of our precision honing. Most replacement components, in addition to all special fixtures and custom tooling, are made to order in house. In addition to our valve rebuilding, we offer an array of additional valve repair services. Prices are based on the typical valve rebuild. Instruments requiring extensive additional cylinder corrections and extra copper build up may be charged extra based on time and materials. Any extra costs will be brought to the customer's attention before we proceed with the work, NO SURPRISES. These prices are approximates providing a guideline for those interested in our services. The turn around time depends on the shop's workload; we do our best to process valve rebuilds in three to eight weeks, but with valves requiring more work this can take a bit longer. Please note: Very old, worn and damaged valves often need secondary copper plating and honing. Secondary plating for trumpets, cornets and flugelhorns - add: 215.00 per set of three. 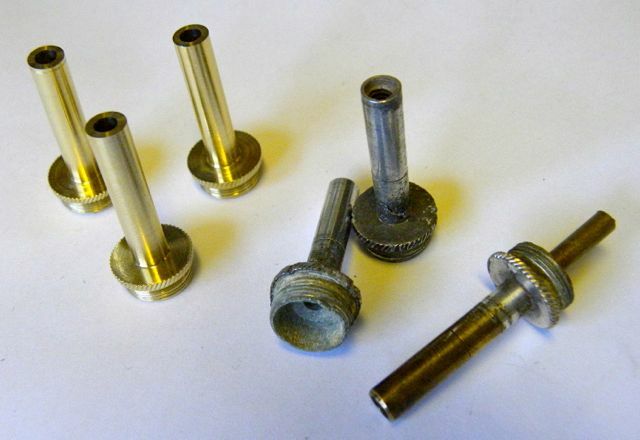 Large brass - note: in most instances, valve assemblies must be unsoldered from the instrument to allow for the cylinder honing process. We can perform the task but recommend that this be done by your trusted local repair shop. This allows for considerable savings in shipping costs. If you would like, we can work with your repair team directly. Compensating baritone and euphonium: 625.00 for set of three (additional valve- add 215.00 each). Secondary plating - add: 240.00 per set of three (additional valves- add 80.00 each). Tubas- conventional (standard): 930.00 per set of three (additional valves- add 310.00 each). Tubas- Compensating: 980.00 per set of three (additional valves- add 310.00 each). First, give us a call at 206-241-5767 or email the shop at dcoberloh@oberloh.com, we are easy to reach and will answer all your questions, even if you're not quite ready to pull the trigger. We can discuss your project and go over the details, so you are comfortable with the process and all that is involved. We will also advise you on proper packing and shipping. Please understand that some projects do require a deposit in advance before work is started. We accept all major credit cards. Again,We provide support services for commercial repair shops. Please call or email for details.